I having been buying an all natural hand sanitizer formula at the health food store. It is non-toxic and works great. I have been wanting to make my own formula for awhile. Since both the boys are in school now we are using a lot of hand sanitizer. I did a little research online and made up my own little recipe. Remember to check with your doctor if you are pregnant or have any serious health issues. Essential oils can be very strong (it is my opinion that essential oils are less strong than what is approved for use by the FDA, but nonetheless, that is just my little opinion). There are many recipes online, so if you don’t like an ingredient just select another. Many essential oils help kill germs and bacteria. Mix all ingredients together in a mason jar. Pour liquid into 4 (3 ounce spray bottles). Use the leftover liquid for the gel recipe. Use the 1 ounce leftover liquid from spray formula and add 3 ounces aloe vera gel (pure source). Mix and pour into a squeeze bottle. 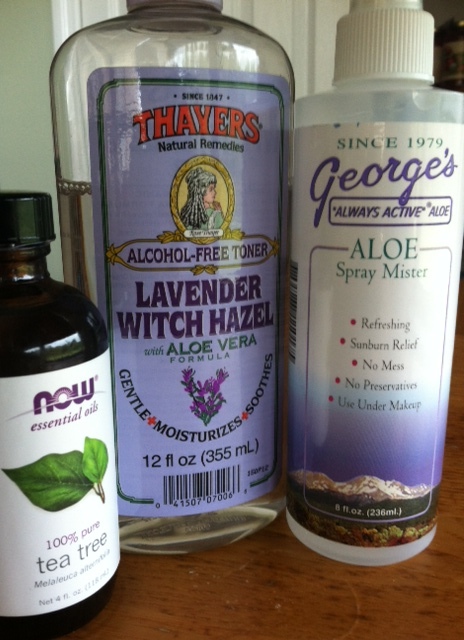 ~For both formulas you can use plain witch hazel and add 10-20 drops of lavender essential oil. Tea tree oil “is the most powerful of these essential oils and has antiviral, antifungal and antibacterial properties–making it the recommended essential oil to use in the following recipes. But it should not be used on infants or pregnant /nursing women. Adding more tea tree oil to any recipe will make the hand sanitizer more effective but the smell can be overwhelming. View the American Society for Microbiology’s study about TTO for further information about its effectiveness. Most organisms can be killed with a 0.50% concentration (E.coli, Staphylococcus and Streptococcus special and others) but to kill the penicillin-resistant bacteria Pseudomonas aeruginosa, a 3.0% concentration is neeed. All of these findings have been published in international journals. A few drops of essential oils like basil, rosemary, rose, lavender, lemon or geranium will lighten and balance the aroma.” From this source. Let’s protect our skin and nourish it at the same time! 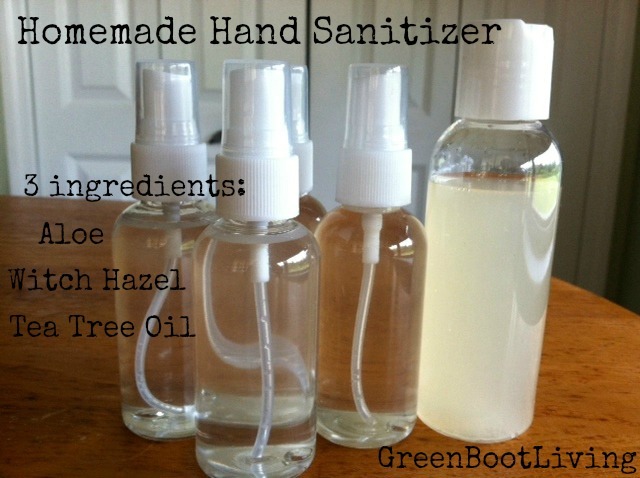 Thanks for mentioning my post about making your own hand sanitizer.